A Moment of Panic…Western States 2015. On 24th June 2012, I was hurriedly looking for the tourist information centre in Auburn, California. It was the morning after the Western States Endurance Run and I could hear cheers in the distance of runners coming onto the track, desperately trying to finish, utterly exhausted, by 11am and the 30 hour cut off. I was exhausted myself, having crewed the day before for Jez Bragg. That Sunday was probably the only day that year I could have beaten Jez in a race. He was shattered and back at Placer High School, chatting to friends and fans, whilst awaiting the awards ceremony. But I was out on a mission. I was looking for a hotel or bar that would be showing the England v Italy quarter final of Euro 2012 that was about to take place. With time difference of nine hours, it was soon to kick off in Ukraine. Obviously, England always lose these games, but after such a manic few days it would be nice to watch something familiar before an afternoon of relaxation in Auburn with Jez and some of the North Face team. It seemed only one bar was going to show the game, a wonderfully named place called Bob & Betty’s One Sixty Club. The kind lady in tourist information gave me the address and a map, with some trepidation, and pointed me in the right direction. Ten minutes later I was outside. Bob & Betty’s is just like an ultramarathon. Incredibly intimidating from the outside- essentially a cross between a New York dive bar and a biker club- but friendly, welcoming and warm on the inside. I was very clearly an outsider (no beard, no leather jacket just shorts, flip flops and a water bottle), but as soon as the barman and clientele realised I was English and there for the game I was welcomed with open arms. Who knew Hells Angels loved “soccer”? I fell in love with Auburn that weekend and that bar cemented it. I went back to get Jez and some of the others at half time, following the awards ceremony at the track and we all went back to watch the second half. The bar was full of some real characters and (non-alcoholic) drink after drink was bought for Jez, I and his friend, a Geordie who worked full time for North Face in San Francisco, who’s name escapes me. Two of us were driving and one was a little tired, so it wasn’t exactly a wild afternoon but we were welcomed. Most of those drinks were for Jez, who as humble as he is, was asked over and over again to show off his shiny silver sub 24 hour finishers buckle. Just like in the UK ultra community, I felt I belonged in Auburn that day and I knew in my heart I would run this race one day. I knew it was incredibly hard to get in via the lottery (7% last year and probably closer to 5% will get picked this year), but one day it would happen for me. Somehow. This year, my name is in the hat and, because I knew it was so hard to get in, I had lined up my usual qualifier, the North Downs Way 50 miler for next May to give me a shot at the 2015 run, if I fail to get in for 2014. Last night, as I absently flicked through facebook on my phone, everything changed. 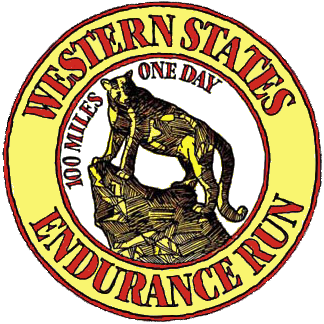 There had been talk about it for a while, but suddenly facebook lit up with links to the Western States Endurance Run website news section where a post had been placed detailing changes to the 2015 race qualification criteria. The number of qualifying races had been slashed by almost half to just 63 and these now included just 100k and 100 mile qualifying races. All 50 milers had been removed and there were just four UK races now on the qualifying list, three in England and one in Scotland. I didn’t have time to digest this information before panic set it. It sounds ridiculous, but I am obsessed with this race, and I was really worried about how I would qualify for it as I wasn’t registered in any of the qualifiers. The WSER website detailed the qualifying races and these are labelled by state in America and country outside the US. Initially, I thought there were only three in the UK as they were labelled as England, but looking again I realised one was labelled as Scotland, the West Highland Way race. Of the three English ones, by the highly regarded Centurion Running, I knew for a fact two were sold out. I also presumed the last one on the list, The North Downs Way 100, would be sold out as registrations opened a month ago. I tried to log onto the Centurion site but it was down. Panic really set in as I realised hundreds of others were possibly thinking like me and trying to get a spot in the decimated qualifiers. After an hour or so I got through and saw there were still spaces available in the NDW100. If you have read my previous posts, you will know I didn’t intend on running a 100 miler next year (unless I happened to get into Western States). The last hour had thrown my plans for 2014 out of the window and I knew I had to enter and return to this tough but beautiful 100 mile race. So I am now in. Runner number 130 for Saturday 9th August 2014. As I started to calm down and relax I had chance to ponder the qualification changes in more detail. According to the WSER facebook page, they estimate the new qualifying rules will slash lottery numbers and in return give those in the hat an estimated 20-25% chance of qualifying. This really is exciting and will also no doubt impact on the drop out rates during the race. I don’t know what the exact statistic is, or even if it is published, but I would estimate that the majority of the 30% or so who fail to finish the race each year, are those who qualified with a 50 mile run. This new rule not only gives me a better chance of qualifying, but a better chance of finishing. I know I will now only stand on the start line in Squaw Valley if I have run 100 miles previously (if I don’t qualify this year). This will be a mental boost, I have no doubt and I will be in elite company. The new system will be hotly debated over the next few weeks. Of perhaps four to five thousand ultrarunners in the UK at present there are now only 800-900 or so places in UK races that qualify for this iconic race. In turn, these qualifiers may well set up tougher qualification criteria before they can be entered. As it stands, Centurion 100 milers require at least one 30 mile ultra finish within the last two years, but this may well be toughened up too in order to only allow more experienced runners to race. I don’t know, but I do know it has caused debate already. Some of the UK’s most iconic races are no longer on the qualification list and these include Hardmoors 110 and Lakeland 100. Many people will have entered these already, perhaps not just to qualify for Western States, but some perhaps solely to. They will be like I was last night, surfing with credit card in hand, to get a qualification place elsewhere. As ultrarunning grows I can understand completely the need to strengthen the qualification criteria. I am excited that I have been ‘forced’ to run 100 miles again next summer and I look forward to preparing and one day, heading back to Bob & Betty’s with my own finishers buckle. 1 Response to A Moment of Panic…Western States 2015. There are statistics published that show the rate of DNFs does not have a statistically significant correlation to speed and/or qualifying race. All the good runners who drop because “it just wasn’t their day” balance out the more unprepared runners. Just wanted to point this out. But I’m also a fan of the change. Only having 4 races is a bummer. Sorry for those in the UK. Best of luck to you.